Sensortower reported earlier this month that lifetime sales of Fate/Grand Order since its 2015 launch topped $3B globally, with the vast majority of that coming from Japan (82%). While this figure is impressive it does require some context to fully understand. The Metal Gear franchise since its release in 1987 sold ~49.2 million units worldwide. At an average selling price of say $50 (not every copy is sold at full $59.99), that gives us a total of $2.46B. Fate/Grand Order brought in more total sales in 4 years than the entire Metal Gear franchise did in 32 years. Wow. Dragon Ball Z: Dokkan Battle earned over $1.6B globally since launching in 2015. Clash Royale earned $2.5B since its launch in 2016. Given just how successful mobile games can be, developers are shifting more and more resources towards mobile game development. 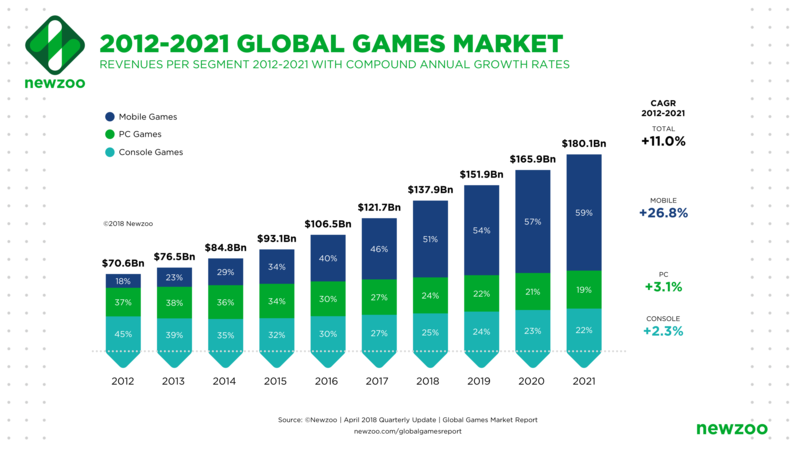 While PC and console gaming aren't anywhere near dead, mobile is taking a larger and larger piece of the entire gaming industry.